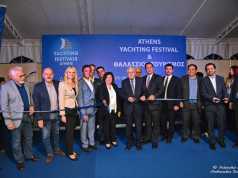 The 5th Mediterranean Yacht Show saw a record-breaking number of entries, featuring 107 registered crewed yachts and welcoming over 400 yacht brokers from 23 countries. We are excited to share with you this throwback video from the event, including highlights from the opening and welcome ceremony, Chefs’ Competition, social events, onboard cocktail parties, and elegant closing party at the Fougaro Cultural Centre. Relive the experience, journeying back to the picturesque port of Nafplion for the most significant yachting event in the Eastern Mediterranean!